New York: The Knox Group of Companies, with headquarters in the Isle of Man, announced late on Tuesday it will launch a residential and commercial property development in Dubai valued at £250 million ($325 million), with residences that can be purchased in the digital currency bitcoin. The company said the 2.4 million-square-foot property venture called Aston Plaza and Residences, consisting of two residential towers and a shopping mall, will be the first major real estate development that will accept bitcoin as payment. The Dubai project is one step towards efforts to push bitcoin into the mainstream. 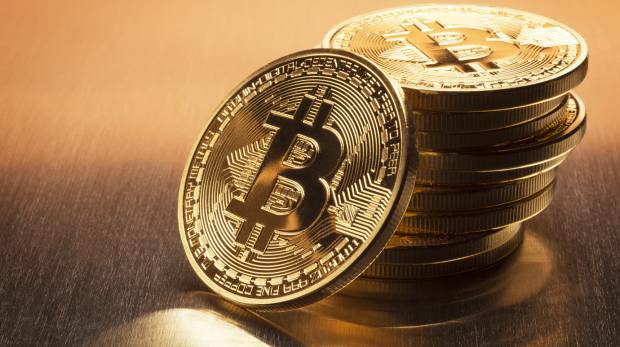 Maligned and ridiculed in its early days, bitcoin hit a record high of $4,870 on Friday, surging more than 400 per cent so far this year. The whole project is expected to be completed by late 2019. “This a great opportunity for the crypto-currency community to offload some of its significant gains, especially the early adopters, and actually deploy them in hard-core assets which I’m building,” Knox’s chairman, Doug Barrowman, said in an interview with Reuters. Barrowman, originally from Scotland, in 2008 founded Knox, which engages in private equity, property and wealth management. The company manages £1.5 billion in assets, he said. The Dubai venture is a collaboration with Baroness Michelle Mone, a member of the House of Lords and founder of the lingerie company Ultimo. Mone said in an interview that her interior design company will do the interiors of the apartments. Bitcoin payments platform BitPay will process the bitcoin transactions. The company already provides bitcoin payment tools to companies such as Microsoft and Richard Branson’s space venture, Virgin Galactic. Knox’s Barrowman said the current popularity of initial Coin offerings (ICOs), a token-based method of fund-raising for technology start-ups, has shown that there is huge demand for crypto-investors to diversify their assets. Studio apartments will start in price from 33 bitcoin and mirroring ICOs, early investors will be given additional bonuses, Barrowman said. Packages for interior design services and furniture can also be purchased in bitcoins. One-bedroom apartments can go for about 54 bitcoins, or $250,000, Barrowman said, while two-bedrooms can be bought for 80 bitcoins, or $380,000. Essentially, the apartments will be offered at a 15-20 per cent discount, Barrowman said. There will be 1,133 apartments; 480 have already been sold in traditional currencies and the remaining will be earmarked for bitcoin holders, Baroness Mone said.